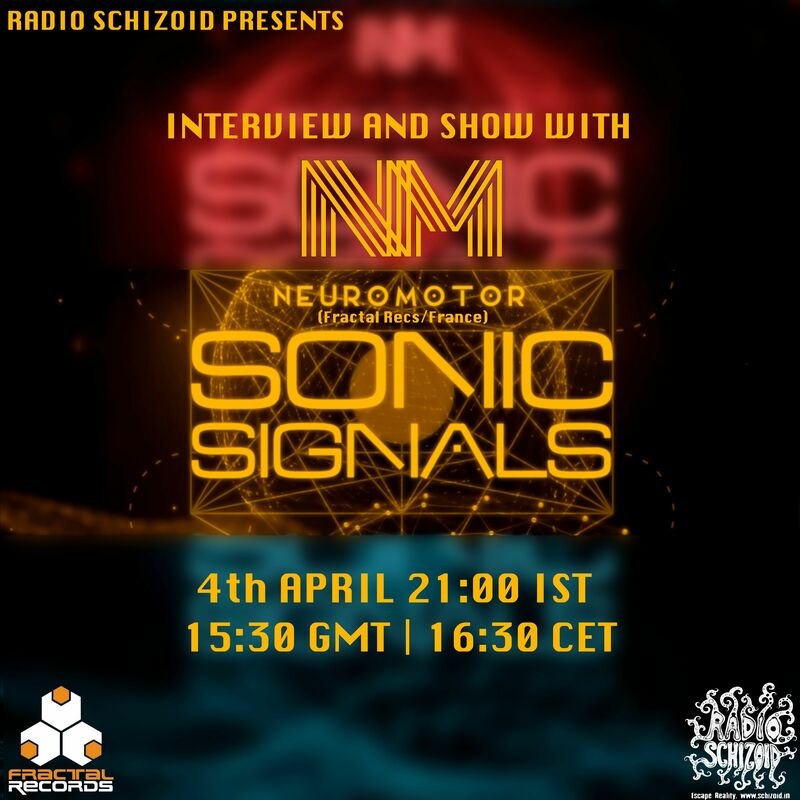 NeuroMotor ( Frederick-Ali Talaa / Fractal Records / France ) – joins us this week for a show and interview with Ishikawa ( Angad Kumar Kapoor / Phonix Records / Kaos Krew Records ) on Radio Schizoid . After 2 decades of making people dance across the planet, the Full On Groove Guru has decided to take things a different route completely.Fred as all you mostly call him, is known as NEUROMOTOR to the world – the Master Blaster. He has be quoted as one of the best performing live acts in the trance dance scene. .
Neuromotor has been a regular in many countries including Japan, Australia, New Zealand, India, Nepal, North Africa, United Arab Emirates (Dubai) Russia, Scandinavia, Germany, Belgium, Spain, England, Ireland, Canada, United States, Mexico, Guatemala, El Salvador, Costa Rica, Brazil, Peru ,Argentina & other Eastern European countries to name a few. He has also headlined many events and has represented the funky dance floor groove and legendary festivals such as Boom & Ozora among the big ones. He has had many alter egos and effective combos with various artists. Some of the many successful are ESXS, Growling Moon Spirits, Plastyk Elephant, Neurochrome, Los Diablos and the most talked about, The Crazy Lions Cult. With previous releases across top labels including Peak Records, Bom Shanka Music to Crystal Matrix Records, Alchemy Records to Shiva Space Technology Records to Geomagnetic Records – clearly showcases his diversity of redefining the Full On sound. His main collaborations were with acts like Hyperfrequencies, Electrocult, Shanti, Chromatone, Phatmatix, Mechanix, among the dozens of them. The funk machine is on a high octane experimentation mode where the motors are revving towards making dance music with a difference.The new sounds of Neuromotor can be defined as a “Cutting Edge, Funky Grooves & Space Bass in your Face kindda Dance Music”. Keeping his experiences in the forefront, Neuromotor has been experimenting in the studio for the past 6 years on something special for dancefloor dwellers.